« Migrating the email newsletter! I’m sure you’ve heard that before, reader, whether the statement is personally meaningful to you or not. If it is, please take this as an expression of solidarity. If it is not, please take this as a window into someone else’s reality. This is going to be the main theme in the guest blogs you’ll be seeing here over the coming weeks. Why? Because, I’ll say again, it is important. Representation matters to me. As someone with a good amount of weirdness, it matters to me as something I wish I had been allowed better access to growing up. As an educator and an anthropologist, it matters to me as a way to foster tolerance and understanding, to help human beings develop their identities free from artificial pressure and shame. I’m a white woman. Mayonnaise is just a little bit whiter than me. I’ve never been on the receiving end of racial prejudice. But I have stood in front of a classroom of Mexican and Mexican-American students and asked them to name a Hispanic person or character they had seen on TV, then listened to every last one of them fumble for a moment before coming up with George Lopez. Of course there are others. But not enough others that thirty seventh-graders could name them on short notice. This was in the Rio Grande Valley of Texas, where local populations range from 90-97% Hispanic. A few more minutes of conversation circled around local news anchors. Someone mentioned Danny Trejo. But the consensus was that, outside of the telenovelas, pickings were sparse. One girl dug a copy of The Hunger Games out of her backpack and told me, very loudly and a little bitterly, that she was surprised they didn’t cast a Hispanic actress as Katniss, who is described as having straight black hair and dark skin. She said she felt like Katniss, sometimes, even though her own family worked in fields and not in a coal mine. She said she didn’t like the movie very much. The Rio Grande Valley was an eye-opening experience. An incredibly brilliant boy, probably better read than me and only thirteen years old, told me he had read plenty of books that had Mexican characters. Often they were complimentary portrayals. Hard-working Mexicans, tough Mexicans, determined Mexicans. He told me he had never read a book that had a smart Mexican in it. And I sympathized. YA and middle-grade were both much smaller categories when I was growing up, but it was never hard to find white girls in the fiction. Smart girls were another story. There were tough girls and hard-working girls, girls who learned to fight and dressed as boys and saved things, but almost none of them were defined by intellect. I devoured Nancy Drew, and I hated that Hermione Granger’s intelligence was portrayed as obnoxious. I found the Mary Russell books in fifth grade, and I clung tight to her because she was, first and foremost, a scholar. It was the first time I had seen that part of myself clearly in a character. The litscape is improving all the time, but there are parts of me that I still can’t see in characters, and I know that whatever pain that gives me is far worse for many, many others. There are so many communities ignored or viciously stereotyped. I want autistic characters who aren’t just plot devices or comic relief. I want characters with invisible disabilities who don’t learn to “put mind over matter”. I want an asexual character who isn’t heartless or mentally ill or homicidal. (I do happen to be writing one of these currently. Keep you posted!) I want mental illness that isn’t always automatically violent or somehow cured by a romantic relationship. I write the stories I want to read. Many of my closest friends do the same. But there’s still nothing quite like finding that reflection of yourself in a book and knowing it came from another human being who understands you. If even one person can read my books and see themselves, that’s a job well done. The Siren takes place in San Antonio, which is a bit further north than the Rio Grande Valley but still more than half Hispanic, with the percentage increasing yearly. Sandie and Connie and Nacho were born several years before I met that girl who wished the Katniss on screen matched the Katniss in her head, but the day I had that talk with that class, I dedicated them to her and to every reader who is still searching. 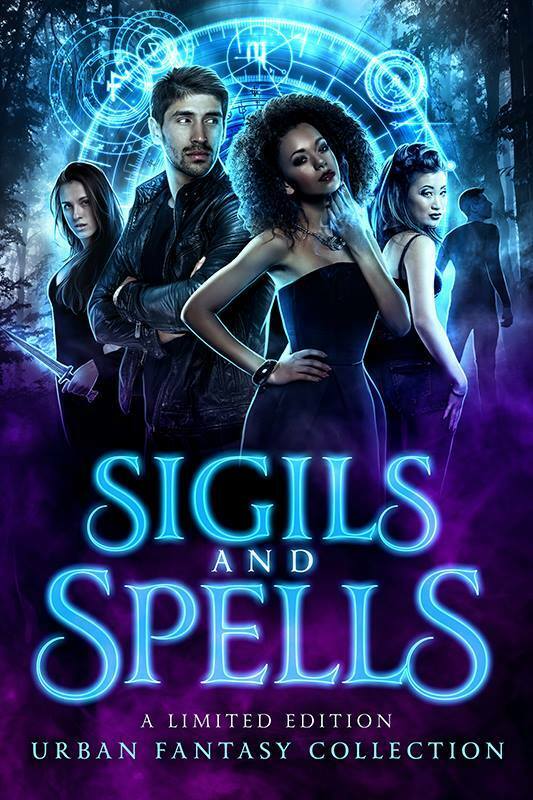 Tagged diversitymatters, representationmatters, sigils&spells. Bookmark the permalink.